I am a bathtub surface repair professional contractor. I have a customer that has a combination tub and shower made from gelcoat reinforced with FRP. They complain about the noise it makes while they are using it. The bottom flexes and it squeaks. How can I fix it? 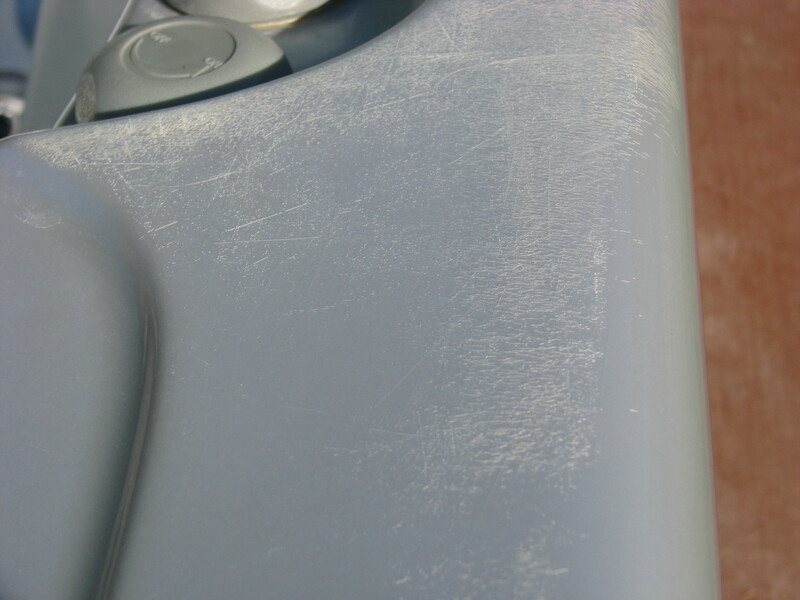 This is a common problem experienced with any bath product produced from non-metal materials. These types of bathtubs are produced from materials like acrylic sheet and gelcoat resins, and are reinforced with mixtures of polyester resins and glass fibers.. Furthermore, additional support features must be incorporated in the final product, and in the installation. The following pictures show examples of how most manufacturers add support structure to their designs. The most common examples are wooden boards fiber-glassed onto the base. Sometimes, manufacturers may add blocks of high density foam to aid in leveling the bathtub. If blocks like the ones below are attached to the base, the bathtub must be installed properly to avoid developing flex in the bath bottom. The best result is achieved when most of the space between the tub bottom and the sub-floor is filled with structural polyurethane foam or other filler designed for the purpose at the time of installation. So, squeaky bottoms are normally the result of inadequate support under the bathtub, between the tub bottom and the floor. We have found that the distance from the tub bottom and the sub-floor can range from ½” to 5 inches. This problem, if left alone, not only is annoying but it can lead to fatigue and severe cracking of the bath bottom. 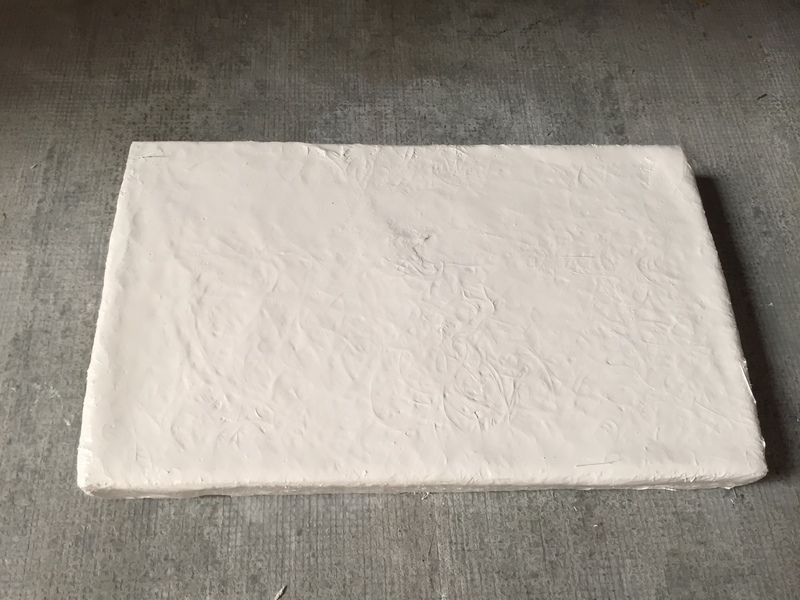 However, the squeaking and flexing can be fixed by injecting structural polyurethane foam into the space(s) or cavities between the tub bottom and the sub-floor. Refer to our procedure in our website for detailed instructions on how to accomplish the repair. If the bathtub has developed a crack(s), we recommend using the Multi-Tech Products tub bottom replacement materials and procedures. Refer to our Tub Inlay products. 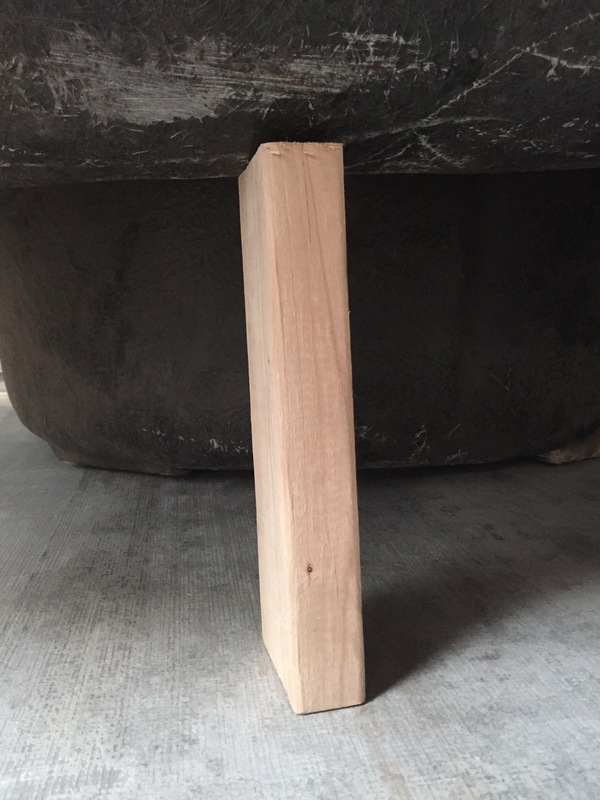 This photo shows another type of structural board construction. 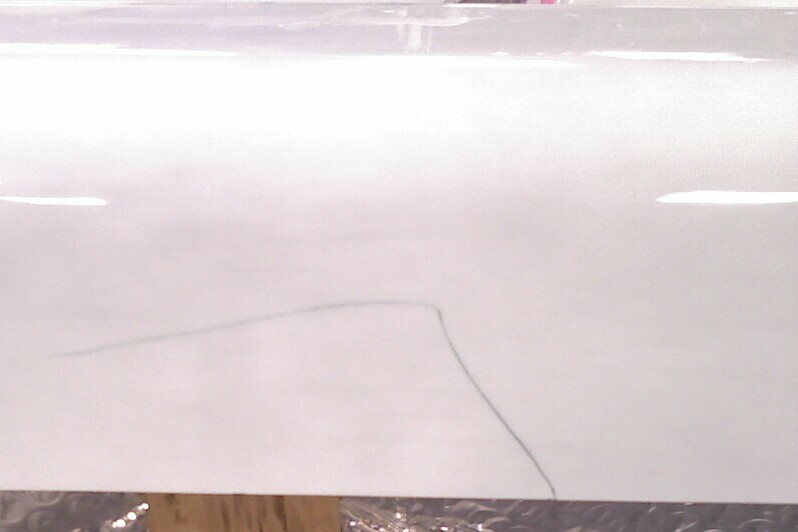 Strips of particle board are fiber-glassed onto the tub bottom. This design is not as common as a one piece board. However, it is obvious that there are potential issues with the gaps and lack of support when installed improperly. Cracks and Squeaking are very much repairable. Depending on the location of a structural fracture, a crack will require a composite rebuild of the bottom structure. This can typically be done with a structural patch or by bonding resins and fabricating a reinforced panel to the top of the floor bottom. The top side seams of the panel can then be repaired with composite resins, pastes and coatings to contour and complete the transition of the repair job. This can be done in such a way that the bottom inlay is not even seen. With all this said, what squeaking tub bottoms and fractured fiberglass floors requiring a rebuild do have in common is they both need this dense foam to stop movement. 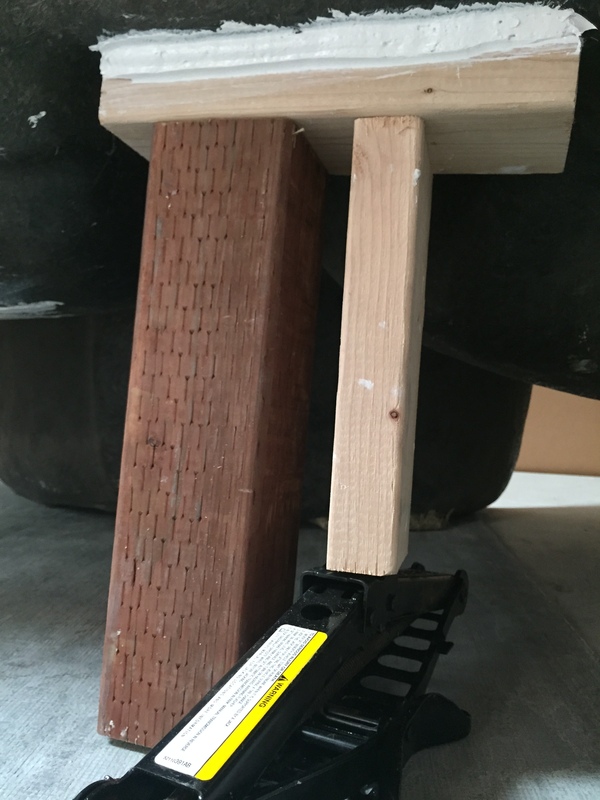 Stopping the movement on a squeaking floor will require 2 or 5 lbs density pour or injection foam forced under the tub by injection, which will expand to provide the support. 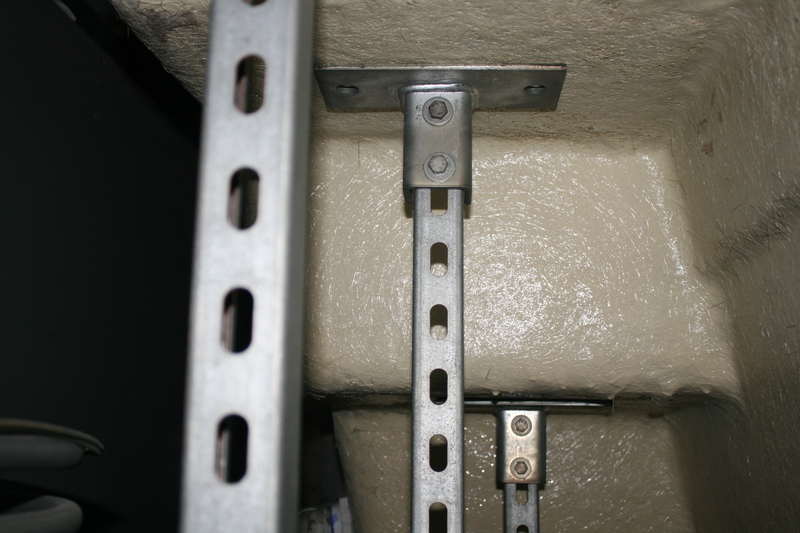 This can be performed through the access panel of a closet or other wall opening. Or injections can be performed by drilling holes through the top of the floor of the unit to fill the void or space. 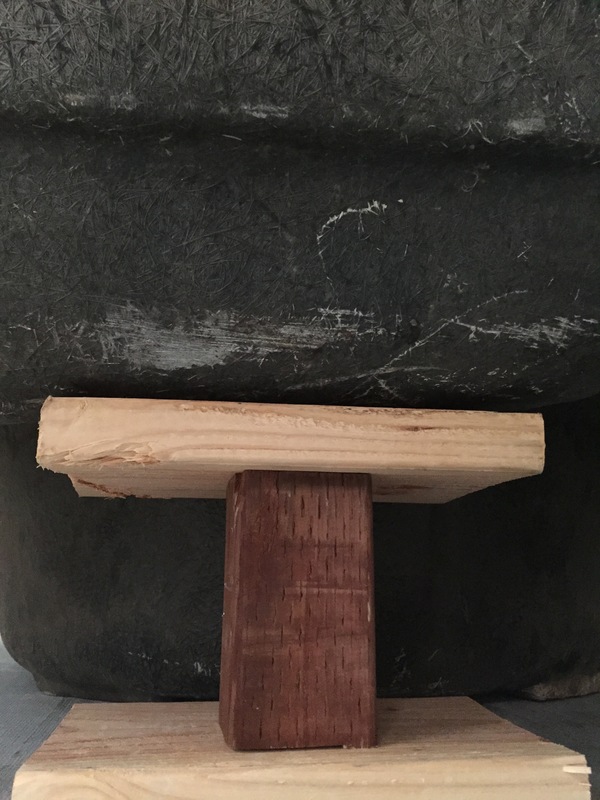 If the repair is performed by drilling small holes into the bath bottom, our experience shows that you should use either our 2 pound (2 lbs/cuft) or 5 # density foam to provide the necessary structural strength to stop the flex and squeaking. When poured freely on a floor with no restrictions, 2# foam will expand and rise about 3 inches; whereas 5# foam only rises about 1 ½ inches. The following picture illustrates the relative expanded volumes of the two foam products. When mixed as an equal part (Parts A & B), an 8 oz. quantity of our 2 pound foam will expand to about 1 cubic foot. The 5 # foam will expand to about ½ cuft. These estimates can help determine the correct quantity of foam to use for a particular job. However, it is possible to use too much foam resin, which may cause distortion in the bathtub bottom. Our experience is that foams with higher densities than 5 lbs/cuft will not expand sufficiently to fill voids and cavities. MTP provides these resins, which have been formulated to work. The typical foam products you find in retail stores are only ½ pound density, and are only designed to provide insulation. They should NOT be used for structural support. The above photo shows some of the foam products offered by Multi-Tech Products Corp. They include polyurethane foam ( parts A & B), and containers for injection. Individual components as well as kits are available in quantities of a quart, gallon, and 5-gallons. These products have been formulated to provide the best results in stopping squeaking and flexing in bath products. 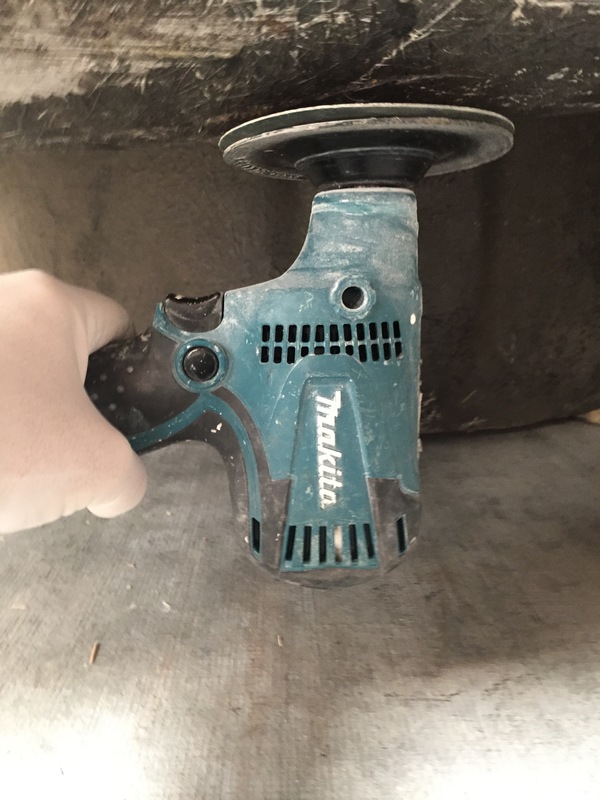 A drill is used to drill through the first layer of fiberglass to inject a resin into the cavity, or to drill all the way through the support board to the empty space between the tub base and the sub-floor. A 1/4″ diameter hole is best. Polyurethane foam is injected to fill the void space. Sometimes, the gap is so large that it may require more than one injection point. The goal is to choose the right foam for the job. 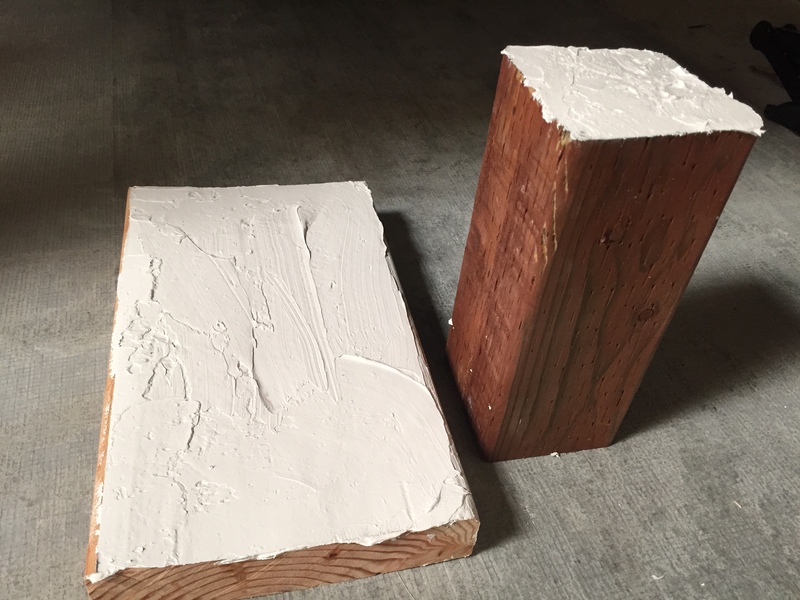 If the gap is larger than 3 inches, the 2 lbs/cuft foam is recommended. 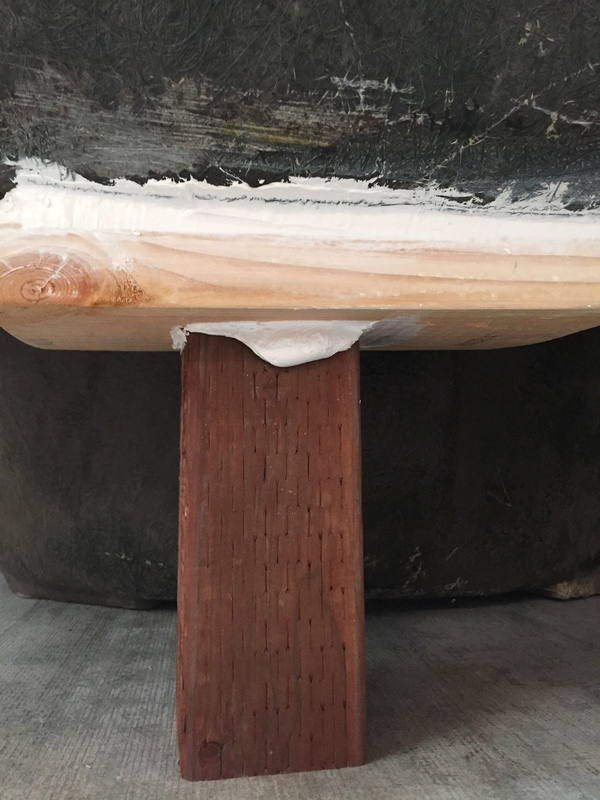 Another case is a very small cavity or gap between the sub-floor and tub bottom, or a de-lamination between the FRP reinforcement and top surface layer. These problems can be handled with the injection of polyester resin or resin paste, also available from MTP. This procedure can be accomplished using a caulking tube filled with our recommended resin or paste, with a standard applicator. Or another option is to use a syringe applicator to inject the resin, as shown below. After the foam has been injected, these small holes can be filled with a repair paste or putty and finished to match the color and surface texture with one of our spot repair systems. One way a Do It Yourself person could repair the holes is to apply a non-skid coating over the patched holes and create a non-skid area over the bottom of the unit. This would be the easiest way if one is not versed at matching colors and texture for spot repairs. We have a kit to make it easy. Frank, I hope this answers your questions. More information is available in our website, http://www.multitechproducts.com, and in procedures supplied with our products. Squeaky, flexing bathtubs and showers are a common household issue, and most consumers are probably not aware of a remedy. So this untapped market for the services of a repair professional offers a great opportunity for one to expand their business revenue and profits. We wish you success in your business. Call us 800-218-2066 for questions and assistance. There is no simple answer to this question. Many factors need to be considered to develop the best, successful bid for a spa surface repair job. First, is the request coming through the spa manufacturer, and is it under their warranty? If so, they may have a standard fee schedule that applies. Inquire about it. Warranty repairs normally require the contractor to provide a guarantee of performance. Higher prices are common on warranty jobs. Does the job only require a cosmetic fix, or does it include a structure repair prior to the cosmetic repair? Additional costs are required when a structure repair is necessary. If it is a warranty job, is the request simply for an evaluation visit to determine magnitude of the damage or is it for the actual repair. How far do you need to travel to get to the site? Are other professional repair contractors closer, and are they bidding the job? What are the prevailing hourly rates for professional service contractors in your area? Some contractors use job rates based on the magnitude and type of repair. Obviously, it must take into consideration the time required to complete it, and a fair hourly wage. Would it be cheaper or wiser for the customer to replace the spa rather than repair it? Reputable contractors will advise customers, accordingly. What is the defect being repaired? Is it a blister(s)? Is it a crack(s)? Is it crazing? Make sure you know what is involved before you make a quote. Also, make sure the customer understands the scope of your quotation. Is the surface acrylic, or some other material? Does the acrylic have an ABS reinforcement and/or fiberglass-polyester resin? Do you have all of the required materials for the repair, and what did they cost? Typically, material costs are a small percentage of total cost for a repair. These can be minimized when components are purchased in bulk quantities rather than single use kits with each required component. What color is the spa? Granite-like acrylic colors are easiest to repair. Marble patterned spas are the most difficult to repair, since it takes an experienced and skilled operator with an airbrush to duplicate the pattern so it is undistinguishable. 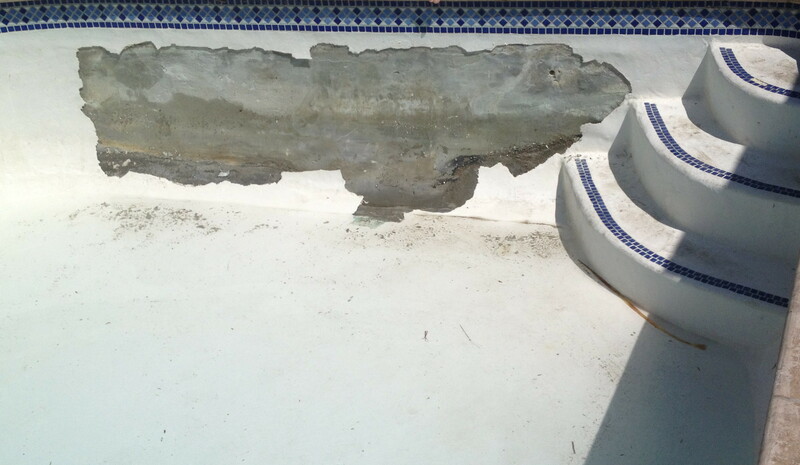 Some non-acrylic surface spas require special materials to repair. Pearlescent colors also require special coatings to duplicate the appearance. Visit http://www.multitechproducts.com/pages/Blisters.html for a technical discussion on what causes blisters. Visit http://www.multitechproducts.com/categories/Instructional-Videos/ to order a copy of the DVD to learn everything on repairing spas. 1) A 2” diameter blister in the lounge seat of a Granite colored spa. The customer has drained the spa prior to your arrival. – Cost of materials ~ $50 (based on buying one single use repair kit) Repair professionals that perform frequent spa repairs buy individual components, and can reduce their material costs for a single job. Comment: A similar repair on a Marble pattern spa would require an additional one hour, and the total Quotation price should increase to $300 to $350..
Additional blisters in the same granite spa should be quoted at a reduced cost. The increase for the second blister should be 50% ($375), and the third blister should be an additional 30% ($450) of the first blister. Reasonable judgment should be used for cases with numerous blisters. It may get so costly that it would be cheaper to replace the spa, particularly if it is a portable one. GO TO http://www.multitechproducts.com/pages/Procedures.html for specific directions on repairing a spa blister with the MTP Binding Resin. 2) A 6” long crack at the rim of a Granite colored spa. The spa has been drained by the customer to provide a dry working space. Comments: A similar repair on a Marble pattern spa would require an additional one hour, and the total Quotation price should increase to $250 to $300. 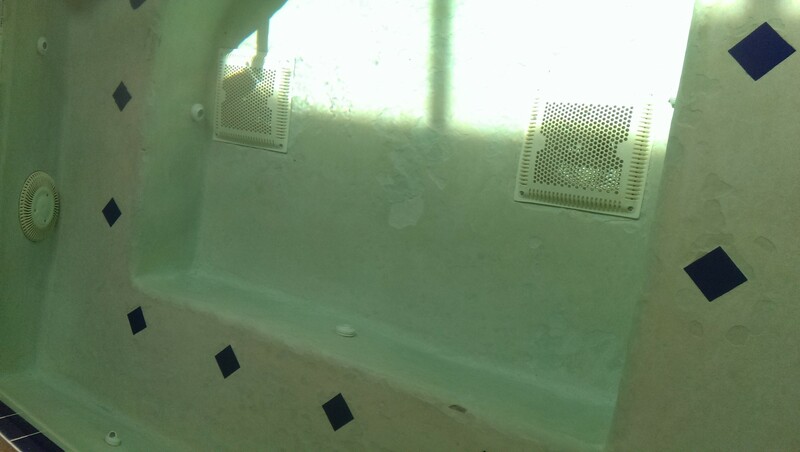 Additional cracks in the same spa should be quoted at a reduced cost. The increase for the second crack should be 50% ($300), and the third crack should be 30% ($375) of the cost of the first crack. 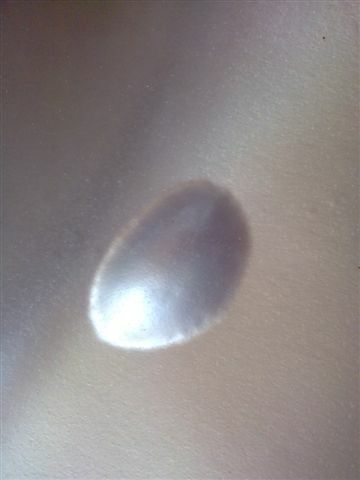 GO TO http://www.multitechproducts.com/pages/Procedures.html for specific directions for a cosmetic repair of a spa crack. 3) A 2” diameter hole in a spa, which requires rebuilding the FRP reinforcement. Depending on what caused the hole, there could be spider cracks emanating from the circumference of the hole. These will increase complexity of the repair, and the cost. GO TO http://www.multitechproducts.com/pages/Procedures.html for specific directions for a structural repair of a spa.